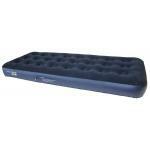 What are the essential camping furniture products? When looking for outdoor furniture to suit your excursion, it helps to have a basis to work from. There are tonnes of furniture products that are specifically made for outdoor use. But not all of them are necessary to be able to create a hospitable camping environment. This is a product that sells like hotcakes. 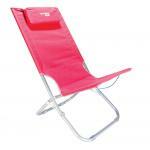 The practicality of a camping chair makes them a great companion for many types of outing. Whether you’re having a picnic in the garden, or a fishing trip in the wilderness, there’s an affordable camping chair to suit. Typically, camping chairs are ergonomically designed to be portable, sturdy, resistant and comfortable to sit on for long periods. They are constructed using materials such as nylon and polyester, with durable, foldable steel or aluminium frames that are easily transportable. There are alternatives to this design in the form of camping stools and inflatable chairs. Inflatable chairs are still considered a luxury item that can look out of place on the campsite. 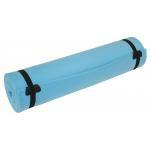 Built from less resistant PVC, they are more suitable for interior use. Camping stools incorporate the same materials as the modern foldable camping chair. However, stools do not have the armrests, drinks holders or contoured design of a camping chair. Consequently, they are less comfortable than camping chairs, but they are more convenient. Like the aforementioned chairs, camping tables are camping furniture with portability in mind. They can be bought in different sizes and shapes, but one constant is their ability to be packed and carried. The table pops up and locks into position using retractable u or x-leg frames for a stable foundation. 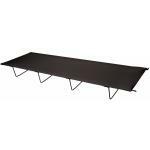 Once they have been used, camping tables are easily foldable for convenient storage. Organising your eating space whilst on a camping trip can be difficult – particularly in large groups. A camping kitchen helps by providing a stand and shelves for cookware and utensils. Using these benefits, preparing food is made simpler and cleaner. Camping kitchens boast specifications that make them perfect for days out. 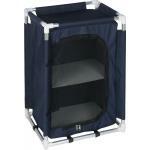 They come with carriers for portability, a windshield to protect food and tools and wheel locks to stay in position. Created to fold away quickly using lightweight materials, a camping kitchen is camping furniture that is useful throughout the seasons. What should I consider when buying camping furniture? Outdoor furniture is tailored to suit the trials and tribulations of outdoor environments. Firstly, establishing what type of outdoor trip you will be taking is the biggest consideration. Once you’ve decided that, you can set about finding the perfect camping furniture for the excursion. You’ll be taking your furniture on long transport journeys. Occasionally, you may even need to carry the furniture yourself to your site. It’s best to look at equipment that can pack away compactly to create a manageable load. 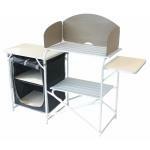 Often, camping furniture items are foldable down to small units and come with their own carry bag. This allows for the item to be stowed in tight spaces. And the more you can store in a space, the more crucial camping products you can bring. Storing camping furniture is about looking at the long-term view, as well as short-term. If you plan on using your kit again and again, it needs to be able to be stored away without bother. This way it doesn’t become an obstacle, and can be recover quickly still in good condition. What is the load capacity of the product? This is critical information and any supplier worth its sorts will supply it. Find out how much weight a piece of outdoor furniture can bear. What you don’t want to do is end up in a situation where you break expensive furniture by applying too much weight. Get the numbers that will tell you how durable the item is. Is the camping furniture durable? The best camping furniture can withstand various conditions for years. Build has a lot to do with how durable a product is. But the material that is used also plays a big part in the longevity of a product. From the fabrics used to the frame construction, each part of the furniture enables the product to remain stable, come rain or shine. Does it require frequent maintenance? All camping items require some level of maintenance. After years of use, the product will endure wear and tear, gradually losing effectiveness if left unattended. Still, you don’t want to spend hours staving off corrosion. Camping furniture that are built using high quality resistant materials such as varnished hardwoods, polyester and steel require only light maintenance. Small things such as storing furniture in a moisture-free location and treating stiff hinges can keep the products in working condition. However, the best way to maintain outdoor furniture is to treat the materials regularly. Woods usually have a protective finish that prevent the grain from degrading. This doesn’t prevent algae and pollutants build-up that happens when the item is left in a dark corner for months though. These pollutants damage the integrity of the wood. On a yearly basis, scrub the wood down with soapy water to remove this hazardous matter. You may also want to recover the look of the wood using teak cleaner and brightener. These products restore the furniture’s original colour, masking its weathered appearance. Even though plastic draws dirt like a magnet, it doesn’t damage easily. Like wood, a soap wash will preserve plastic camping furniture and improve its appearance. When it does become brittle is when it is exposed to very cold or hot temperatures. Store the furniture in a cool place at all times to keep it at its optimal performance level. Caring for metal is a lot like caring for plastic in its straightforwardness. Metal is durable, but the metals used for outdoor furniture is finished with a protective coating. Soap, a sponge, and a gentle scrub will again suffice. Another preventative measure is to add touch ups to the metal. Whether the furniture is made using cast aluminium of steel tubing, it’s essential to treat chips using metal paint. These chips on the surface worsen if left alone. This can refer to the fabrics used for seat surfaces or furniture coverings. Fabrics aren’t as tough as metal or plastic so, naturally, they are the most difficult to maintain. Firstly, you’ll need to keep them clean. Materials like nylon and acrylic are highly water resistant and have smooth artificial surfaces. This allows them to be sponge cleaned with upholstery shampoo. Where you keep the product after use also matters. You will need to store fabric-based camping furniture in a dry place or beneath a cover. Exposure to large amounts of water will quickly render the fabric useless. When storing furniture, you have to think about sustaining the condition of the product. Whilst many of the materials used on outdoor furniture is weather resistant, this shouldn’t be taken for granted. This is why it’s paramount that you keep furniture away from extreme weather conditions. Most pieces of camping furniture are easily compactable but that doesn’t stop them from getting in the way. Store foldable furniture in your garage or shed, should you own one. If not, storing them in places where they can’t become obstacles – like under a bed – works just as well. At Outdoor Camping Direct, we boast an extensive range of camping furniture from the biggest brands, at affordable prices. No matter the occasion, rest assured we have all the tools you’ll need to create a comfortable camping environment. 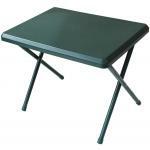 For anything from no-fuss dining to casual lounging, we stock a range of top-of-the-line camping tables to suit your needs. Grab yourself a durable, folding camping stool for that fishing trip you’ve got planned. We promise that our prices will not be beaten. For the loungers who just like to sit in a beautiful environment and take in the sights, our camping chair range offers great support and comfort. This is the ultimate in glamping experience. If you enjoy a bit of finery with your camping fun, then our inflatable chairs have you covered. Monotones are so boring. Get your little ones a kid chair with a bit more personality. Just because you’re not at home, doesn’t mean you can’t still cook up a storm. Take a big step to achieving amazing camping cuisine with a foldable camping kitchen. 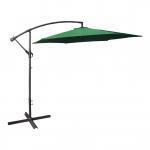 Ensure that your camping furniture remains in pristine condition with some helpful furniture accessories.